Receiving information wirelessly or even over a wire is taken for granted today, but 80 years ago it was considered a miracle of God - that's what Alexander Graham Bell called it. Some regarded it as being of the devil. The same is true of today's omnipresent communications - some consider it a blessing while others call it a curse. I'm somewhere in the middle. 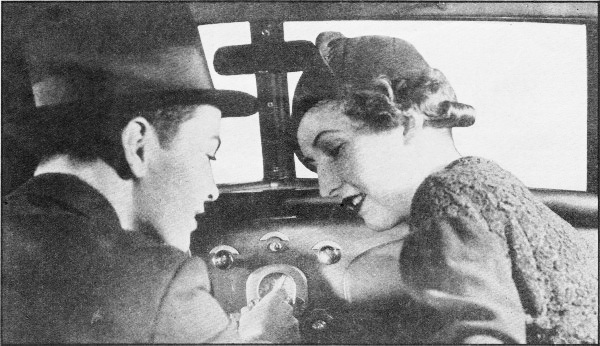 In 1934, the telecommunications world was in its heyday of growth with a reported 17 million listeners of AM radio (no FM yet). Radio dealers and servicemen were gearing up for customers with unbridled enthusiasm for the fledgling commercial broadcast industry's offerings. Even in the midst of the Great Depression, people were joining in on the wireless craze in large numbers, and amateur radio operators were almost feared for their awesome ability to comprehend and practice the black art of antennas and radio receivers. Latest indications are that this summer is to witness the greatest expansion of interest in radio broadcasting so far encountered. At no time has there been such excellent equipment available for utilizing radio at home, in the country, at the seashore, or while touring or cruising by auto or boat. 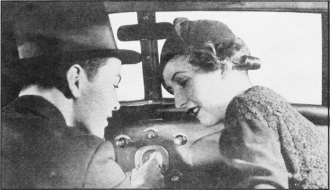 More than 17,000,000 families will use radio regularly throughout this 1934 summer season, including both those who stay at home and those who vacation in the country or at the shore. This figure is believed to be a peak radio audience for any other previous time, including the winters and summers of 1932 and 1933. Radio, therefore, will offer to every family this summer a wealth of added radio program material to make the holiday season more enjoyable than ever. There's no such thing as a summer radio slump, nowadays. Radio will furnish news of what is going on to the most out-of-the-way places as well as giving light entertainment and music for dancing, the country over. 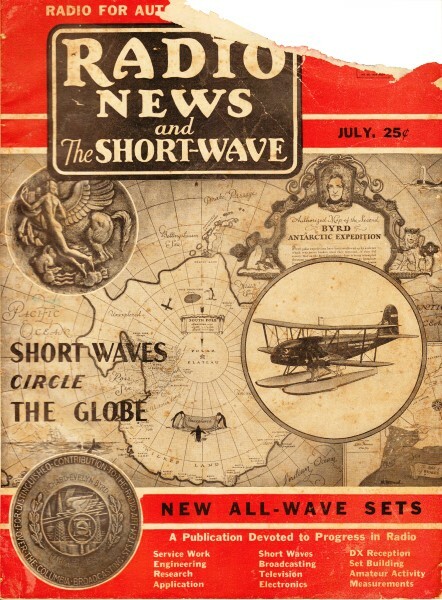 All-wave and short-wave sets will bring radio programs from all over the world right into your camp. Automobile radio will insure plenty of entertaining news and music while touring. Portable sets and marine radio receivers will cover those inaccessible picnic places as well as bring radio to all pleasure craft on the water. This summer season, therefore, sees the greatest expansion of radio, since its beginning, for entertainment purposes. Radio dealers and servicemen should be on their toes and ready to supply their customers with complete information regarding these types of equipment for summer use. They should know just the right types of equipment for each use and should be ready to supply such equipment on short notice. The wide-awake serviceman will have an excellent opportunity for servicing equipment of this type and for getting sets into proper operating condition for their summer customers. The rural serviceman also will have an excellent opportunity for this service work and should not be "caught napping," as vacationists will carry their radio equipment with them and will have to rely on local sources for repair, in case of damage or accident. Here is an excellent opportunity to increase summer radio sales, at the same time to give people a service that will enhance the value of radio to them, in the future. In this issue is shown a number of new types of automotive radio equipment that can be used both on land and sea, for mobile purposes. Another article gives the results of a remarkably complete survey, recently made, of summer radio conditions. Still another article points out the newest types of all-wave equipment. A careful perusal of this issue will bring to light many opportunities awaiting the alert serviceman and dealer during this holiday period. If there is any additional information you require regarding this equipment, drop us a letter and we will see to it that the information is furnished to you.